Togouchi 12 Years Old is a peated blend mingled to a lovely chocolate sweetness and vanilla notes. 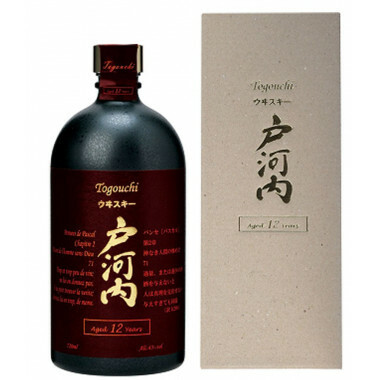 Togouchi 12 Years Old is a peated blend mingled to a lovely chocolate sweetness and vanilla notes. The refreshing trail of greenery and lemon is blissful. The bottle too is quite original and invites to one of Pascal's incredible Pensees (thoughts), also written in Japanese. Nose: fresh and spicy notes on the first hit, with a touch of lemon. Develops onto smoky, peaty notes. Palate: fresh and dry. The spicy notes of lemon refresh the palate. Finish: spicy notes of lemon and peat smoke.